Another week has come and gone and if you’re anything like me and exhibit even an ounce of my deplorable compulsive shopping behaviors, you’ve probably snagged up a few new items – especially since Fall and Fall fashion happen to be right around the corner. If that’s the case, your wardrobe closet is more likely than not bursting at the seams and – let’s face it – looking like a disorganized mess. My best advice? Toss out anything you haven’t worn in years and take cues from these gorgeous closets! If you are lucky enough to have a seating area in your closet, make sure to add some pop with mixing and matching prints. When in doubt, opt for simple shapes and colors. Let your clothes do the talking. Plus, making things visible makes everything so much easier to find. 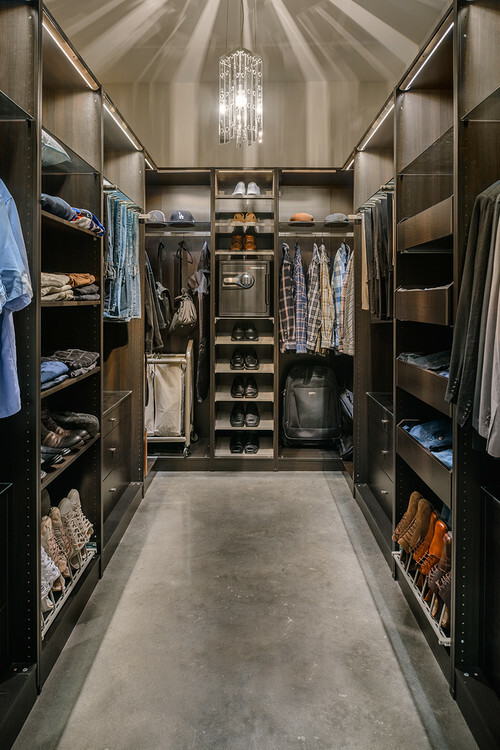 Closet and Beyond is an exclusive corner to create closets fit people perfectly and ensures having well-organized storage space. You really can’t ever go wrong with all-white interiors. What makes this a standout is the patterned carpeting and luxurious fur rug runner. It surely would be like walking on a cloud. No walk-in closet? No problem. 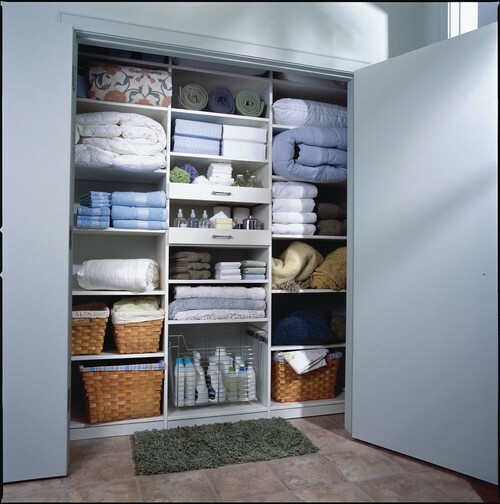 Keep everything tidy with modular storage and sliding doors. Who says only women love a nice closet? This is for the true man’s man with refined tastes. Think clothes get all the fun? Your linens n things deserve the royal treatment, too. While this may only be a glimpse into a portion of a closet, we can’t say it didn’t make our jaws drop! I only wish my baubles would be as detangled as this. Is tjos mpt every girl/ shoe lover’s dream? The devil truly is in the details here. From tufted seating, perfectly placed display-like lighting, and an opulent light fixture to cap it all off, one second in here will make you feel like you’re in a fairy tale. Go for clean lines with doors, knobs and carpeting that are perfectly symmetrical. Wow. This could probably be a bedroom, but if you’re lucky to have windows in your walk-in, then seating and a vanity are a must! 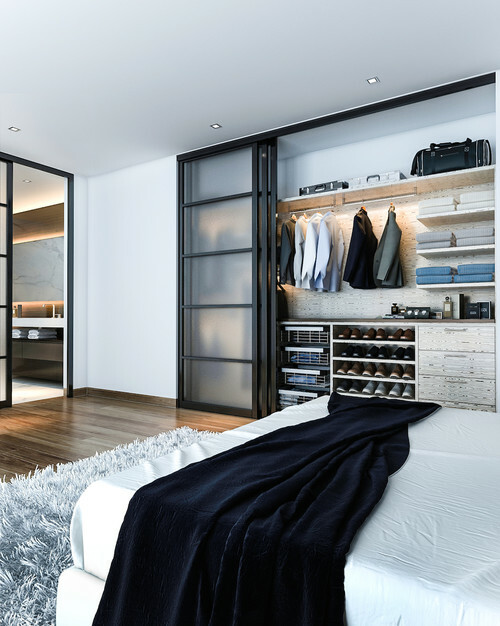 Dark woods and metal accents give this closet a tough, modern and sophisticated vibe. What can I say? I have a thing for monochrome interiors with minuscule accents. With a country home vibe, these busy closet is one you can work and play in. Which one of these is your closet inspiration?